With the completion of the Emerging Voices series, Performing Humanity has shifted to a new location for the release of new content. We hope that you’ll continue joining us there, sharing your ideas, and proposing new content. In the coming months we have exciting articles and collaborations scheduled; and we hope to develop new ways for you to engage with contributors. The latter days of the Early Modern period were among the more notable in terms of scientific discovery, and the investigations of scientists such as Edward Tyson and Robert Hooke were among the most profound and influential. However, each scientist had unexpected positive and negative impacts upon several key concepts concerning the identities of animals and humans. As is well documented by Erica Fudge inBrutal Reasoning, the England these two great scientists were born into was rife with conflicting beliefs on the identity of what is human and what is animal. Up until late in the Early Modern period, these conflicts were managed by philosophers and the church, and the mysticism and mystery behind the categorical identities of ‘human’ and ‘animal’ caused social and moral struggles. As the era progressed, more and more weight shifted to scientific analysis and reasoning, and that fact paved the way for Tyson and Hooke so that both scientists could present their own perspectives on the matter. Of the two scientists, Tyson was most rooted in the traditional foundations of thinking. His examination and anatomical drawings on Pygmies, specifically his ‘Orang-Outang’ which we would call a chimpanzee, revealed a remarkably unscientific set of beliefs in Tyson. At the Borders of the Human points out that Tyson believed that the chimpanzee he studied was capable of transforming. That belief, along with Tyson’s intention to use the dissection in affirming and “maintaining the God-given gap between apes and men” (Fudge 219) pushes Tyson further down the road of the mystic rather than the scientist. Keep in note, however, that Tyson also was oft to maintaining a larger separation of folklore and science than many of his peers, which is one reason he is remembered today as a pioneer in comparative anatomy. 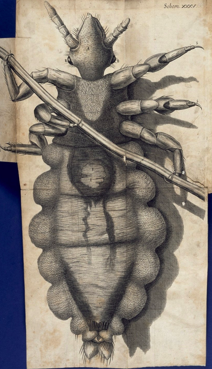 Robert Hooke, on the other hand, is remembered for quite a large list of things ranging from his work in physics, to the work we care about in this context – his work in studying animals, microorganisms, and fossils. 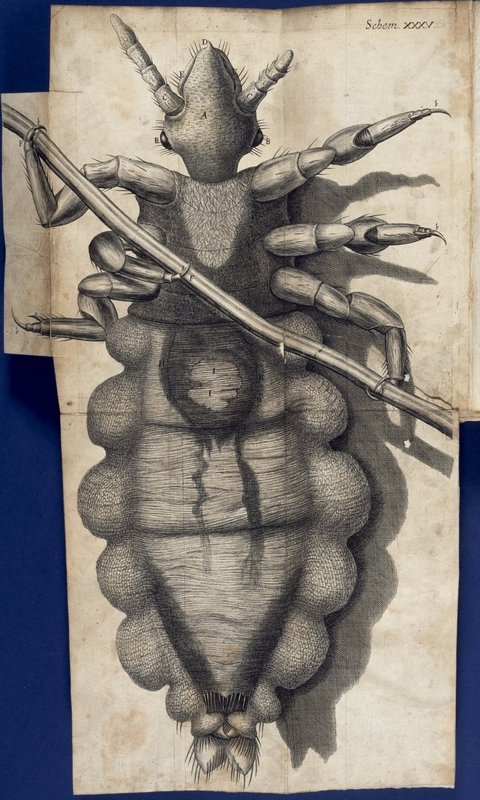 Among the first men to usher in the Age of Reason, Robert Hooke’s impact on his age is beyond just his scientific discoveries, which involved being one of the first to discover and document microorganisms using a microscope, using the microscope to document and draw depictions of animals previously unnoticed such as the fly and louse, and depicting fossils through similar uses of art. In his letters, recollected by Robert Gunther, Hooke shows his inquisitive nature and use of logical and scientific processes which lead him to experiments on dogs using blood and other liquids, as well as his experiments on microorganisms. These experiments and discoveries highlight a fundamental difference between Hooke and more traditional scientists like Tyson, and the difference is Hooke’s purely scientific view on the subject. Through Hooke, one can imagine the impact on the culture that his discoveries had. Given the concept that one becomes like what they ingest or ‘take in’, it must have been shocking for people to realize that they ingest several billion unseen creatures every day. All the while, both scientists were able to open up the scientific world to the general public through their drawings. Still, in their wake, Tyson and Hooke did not solve the problems of the definition of ‘human’ and ‘animal’ and, in fact, caused it to change into an entirely new form just like the mythical beasts they debunked. Colin is a student at Ball State University studying Creative Writing. He enjoys writing poetry and prose, but is most familiar with longer narratives. He enjoys a good story and uses his aloof nature to find creativity in odd places. Fudge, Erica. Brutal Reasoning: Animals, Rationality, and Humanity in Early Modern England. Ithaca: Cornell University Press. 2006. Print. Fudge, Erica and Ruth Gilbert and Susan Wiseman. At the Borders of the Human: Beasts, Bodies and Natural Philosophy in the Early Modern Period. New York: Palgrave Publishers. 2002. Print. Gunther, Robert. Early Science in Oxford. Vol. 8. 1923. Oxford: Clarendon Press. 1968. Print.